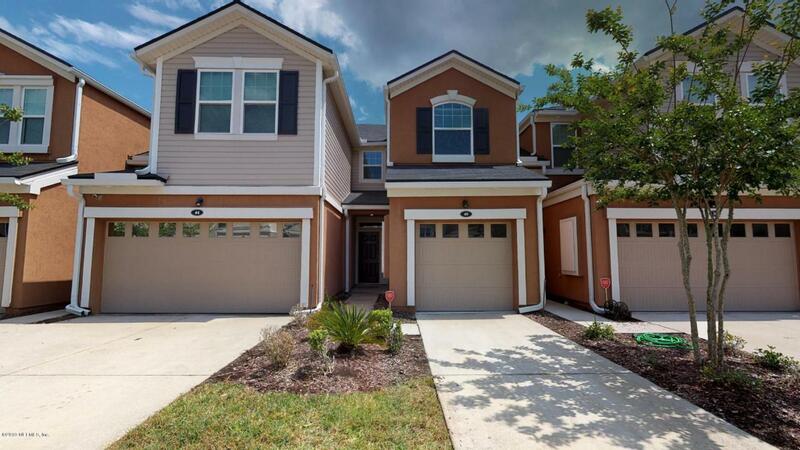 **AVAILABLE FOR IMMEDIATE MOVE-IN**Gorgeous 3 bedroom, 2.5 bathroom townhome in St Augustine's Segovia community! Upon entering this home you have a large open living room. The entire downstairs has tile flooring and there is carpet upstairs. Spacious kitchen with island and dining area. Nice sliding door off the dining area out to your covered patio with lake view. Half bathroom located downstairs. All 3 bedrooms and 2 full bathrooms are located upstairs. The master bedroom is spacious. Master bathroom has dual sinks and a walk-in shower. Full size washer/dryer included. 1 car garage!